If you are the owner of any store, it is very important to make a maximum utilization of the shop space, so that you can store various items and sell them to your customers. The right store design and fixtures can actually enhance the sales quotient of your shop. Along with the larger items, you also need some store fixtures that will be good for the smaller items as well. So it is important to choose the right size and shape, even when you try to customize the store fixtures. You can look at some of the best store fixture ideas to store your small items, and also to display them to your potential customers. Baskets are one of the most common things which you can use as store fixtures to showcase gifts, small toys, confectionery items and even biscuits and cakes. These baskets can be made of plastic or wood, and they can be stacked and fixed at one corner of your store, from where the purchasers can pick and choose the small items that they like. Baskets made of wire are also very good as store fixtures, as they can be placed on any hardwood or metal surface that is flat, or else, they can also be suspended at a certain position inside the store, so that picking and choosing items becomes easier for your customers. In this way, the items also get displayed very well, and you can have a positive impact as far as your sales reports are concerned. Chrome wire fencing and dividers are almost similar to the storage containers like baskets, but they can be made to stand on their own, and they do not damage your product, or give rise to any surface tension in any form. They can easily be placed and fixed on to a perforated shelf with the help of a welding clip. They can even be subdivided into smaller parts, for holding things together, or for storing small items that are needed for everyday use. Milk packets, cookies and even small shoe polishing items can be stored inside these boxes. Gondola shelves are yet another popular type of store fixtures that can be used to store small or large items in your shop. These shelves are very flexible, and they can easily be used to store small as well as large items for showcasing and for selling to potential customers. They are very durable store fixtures that have a universal appeal to the buyers. 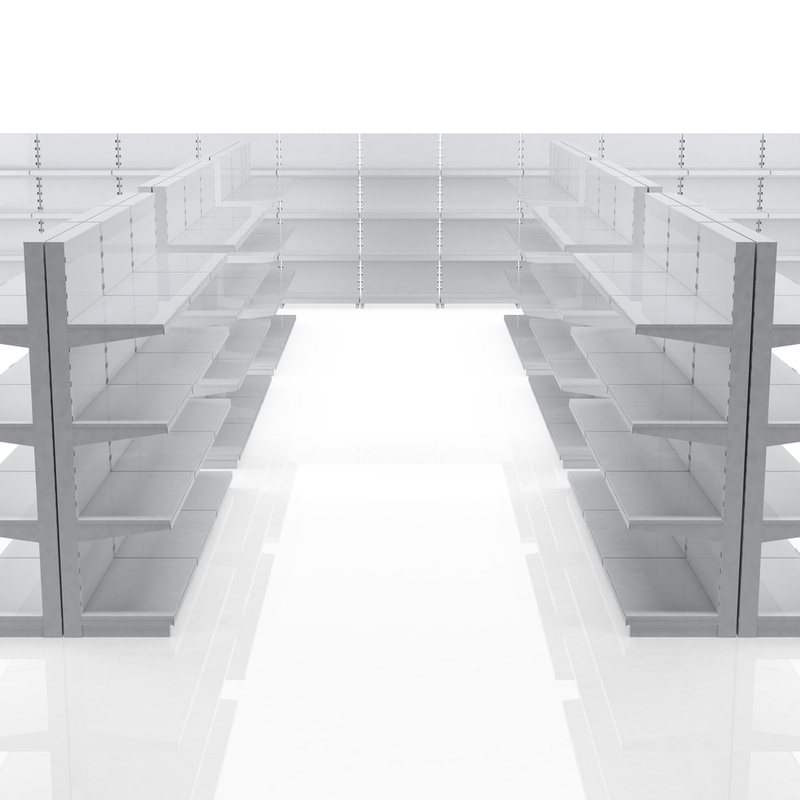 You can also go for customized shelving and fixture option, whereby you can display and store all your items according to the size and design of the fixtures that you choose yourself. You can easily decorate your shop or display house with more space-saving options that have the perfect utility for your store. What are the five best ways to use color for your store fixtures? If you are the owner of any retail store, the right color and design for your store fixtures can work well to create a positive impact on your customers. Metallic hues and light pastel shades are a great option when it comes to display shoe rack fixtures or fixtures for bathroom and kitchen accessories. Red and yellow are bright colors, and they have a direct impact on the retina of the viewer, so they can easily be perceived by the customers at the first visit. There are many store design blogs and ideas that you can get from the online stores, but you can also contact with professional store designers, to get the best store fixtures according to your choice and budget.